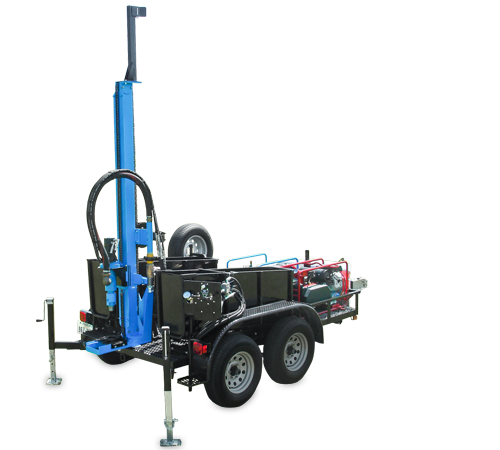 The LS300T+ Water Well Drill offers ultimate performance in a complete package. The drill features our most powerful hydraulics for drilling 6-inch boreholes up to 300 feet in any conditions, including hard rock. 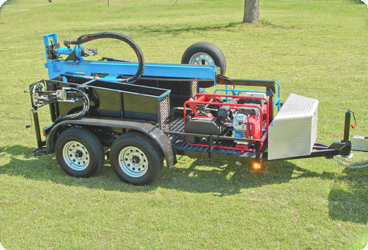 The robust hydraulic system generates up to 5,000 pounds of pull/push-back force, and the anchor kit makes it possible to push beyond the trailer’s weight. The well drill’s bypass flow system allows for precise control to achieve the desired push-down force, and a three-way ball valve enables the operator to quickly bypass the mudflow when adding pipe.